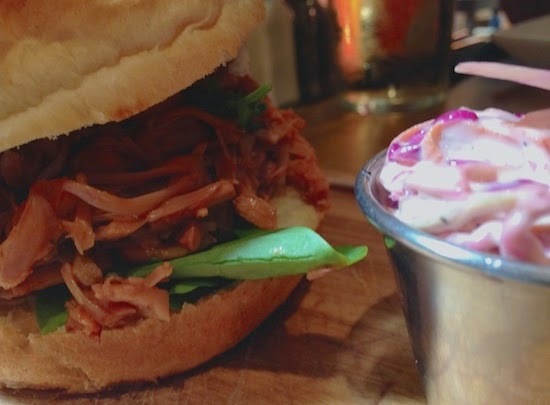 known for their eclectic cocktail menu and sharing platter offerings, the bureau bar can be found a stone's throw from birmingham cathedral. from the outside, the exterior blends in with the other picturesque stone buildings along colmore row, although step inside and you're met with the stunning architecture of the early 1900s against an impressive modern bar and lavish booths. i went along with fellow foodies alex of gingey bites and roz of the foodie couple; a lovely catch up which resulted in a mini tour of the brilliant bars birmingham has to offer. looking back on these photos, i'm already craving the incredible veggie burger i ordered. with a naughty white chocolate ganache filling and crunchy pistachio shortcrust pastry, this recipe combines my love of white chocolate, pistachios and the colour green. after the salted caramel chocolate tart i made, i thought i'd try out a different flavour tart base and filling combination. lovely for a sunday lunch dessert. a creamy mushroom lasagne made with fresh, homemade lasagne sheets and portobello mushrooms. whenever i make pasta and turn it into shapes or use for ravioli, i always think why don't i just leave it as it is one day and make lasagne? this was the day. i also fancied trying out an alternative to my usual five a day veggie lasagne and going for a something more rich and indulgent. i couldn't have been happier upon arriving at carluccio's christmas in july event and being met with an ice cold, freshly squeezed lemon granita and glorious italian summer grub. on such a boiling hot day, i'm not sure if i could have gulped down a piece of dense christmas cake and some mulled wine. this refreshing feast was hosted at the bond street carluccio's, where i was introduced to the new foodie products and gifts for christmas 2014.
spanakopita (span-oh-kop-it-ah) is a greek pastry which is traditionally made from spinach, feta, dill, garlic and onion layered up between filo pastry sheets. the earthy flavour of the spinach married with the creamy, tangy cheese, aromatic dill and flaky pastry work perfectly for this light, summery dish. in particular, this recipe is inspired by kefalonia, a beautiful island to the west of greece which boasts sandy beaches and natural caves. i could image myself enjoying this al fresco with a cold glass of crisp sauvignon blanc, at a villa overlooking the ionian sea. square meal bloggers' afternoon tea at boyds brasserie. with a striking entrance hall and opulent chandeliers hanging from high ceilings, boyds on northumberland avenue is renowned for a british tapas and brasserie style menu. i'm told that miniatures of britain's classic dishes are what they do best, having read some fantastic reviews. on this occasion, a handful of food bloggers were invited by square meal to sample their new afternoon tea menu, which has only been running since july 7th. talk about pressure, hey? the sun has got his hat on, the sky is blue, temperatures are finally starting to creep into the mid 20s and there's thats familiar smell of barbecues in the air. all of a sudden, there's an overwhelming urge to dust off your garden furniture and have a glass (or jug) of pimms in your hand at all times. but if you can't bear to mow that unruly lawn or wash up all those bbq utensils, the second best thing about july is the blossoming of all those summer menus. not one to shy away from seasonal ingredients, the orange tree in leicester have put on a good show, perfect for dining during the latest sunny spells. the orange tree is an alternative leicester bar which forms part of the independent orange tree group. plonk yourself on one of their mismatched tables or sofas and admire the local artists' work on the walls, whilst you sip on a local ale or one of their unique cocktails. toblerone martini for me, please. i don't know about you but i hadn't heard of västerbottensost cheese before now. in terms of flavour, it is a tangy and salty cheese almost like parmesan except you could easily eat a massive chunk of it on a cheeseboard. in texture it is like a crumbly but waxy cheddar which almost melts as you grate it. an official swedish cheese since 1910, the story goes that dairy maid ulrika eleonora first created västerbottensost by mistake when the cheese over-curdled, allegedly as she was distracted by a lover. cheeky. i love a good romance story, expecially when it involves cheese. it is now a unique trademark of sweden, with the unmistakable w mark on the gold packaging. you might have your fancy burger shacks and american milkshake bars down in that london of yours (which of course incite twitter food envy in me just about every day) but this, my friends, is like no other. 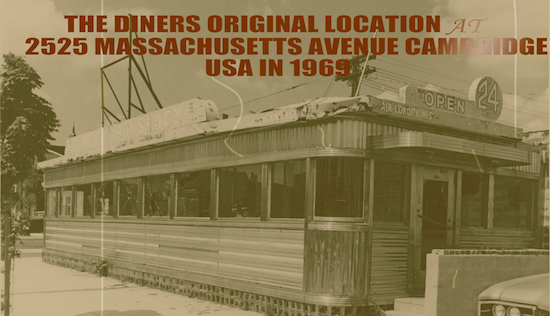 i bring you an original 1950s new jersey diner, originally named murphy's diner, which lived on 2525 massachusetts avenue before being shipped over to the uk to become what it is today. 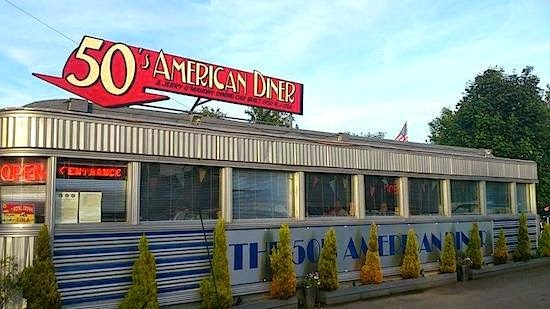 a classic 1950s american establishment with a menu brimming full of burgers, steaks, ribs, sides and an impressive malt, soda & milkshake list to boot. a weekend treat; perfect for serving as a dessert after a sunday roast. this tart is made up of shortcrust pastry, a layer of caramel with crunchy sea salt, dark chocolate ganache and a caramel swirl and dark chocolate flake topping. in recent months, there's been something special going on behind the doors of the queen of bradgate pub on leicester high street. from first impressions when walking into the newly renovated place, i can only imagine it involved a lot of colourful paint, restoring lots of retro furniture, unveiling original features and polishing rows of beer taps for local leicestershire ales. not to mention time spent devising a delicious sounding british inspired menu.